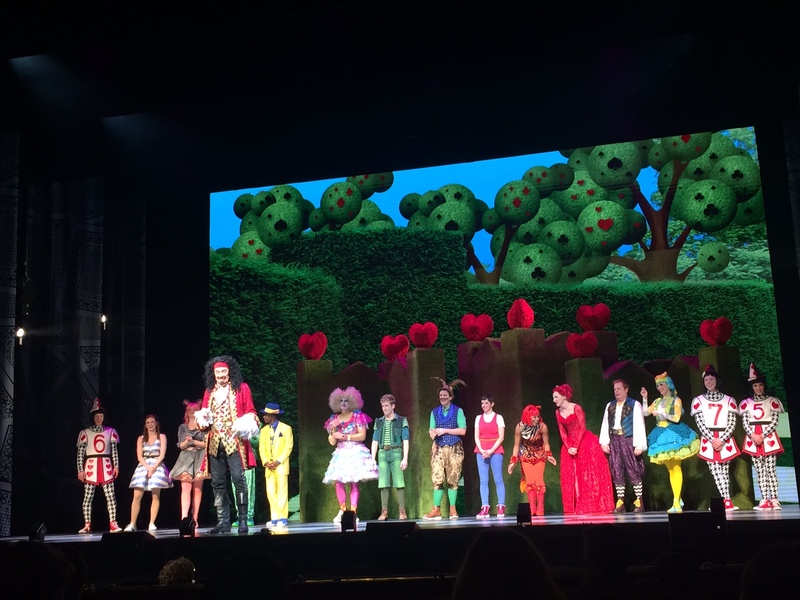 Five Reasons why the whole family will love Peter Pan in Wonderland | Kids in T.O. Every family has holiday tradition. Two years ago we started joining the Ross Petty family for their annual holiday musical. For the last two decades, Ross Petty has been gathering incredible casts to present a fun-filled and magical theatrical experience for kids and adults in TOw. 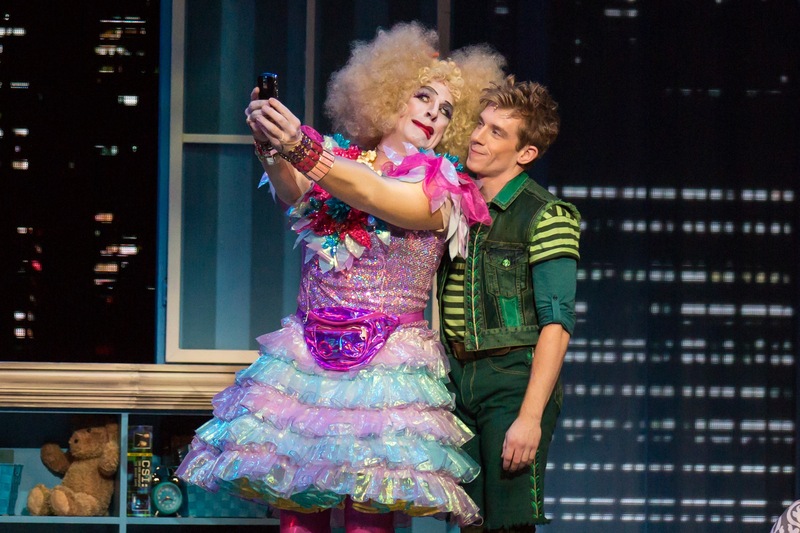 This year is no exception with Peter Pan in Wonderland on stage at the beautiful Elgin Theatre until January 3, 2016. Dan Chameroy as Tinkerbaum and Anthony MacPherson as Peter Pan. Photo by Racheal McCaig Photography. There are commercials. And you’ll love them. The production creates lovable short videos with its sponsors – CIBC, Hilton Hotels, Toronto Star, SickKids, Billy Bishop Toronto City Airport. They’re clever, funny, inspiring and applause-inducing. Jessica Holmes as Queen of Hearts; Anthony MacPherson as Peter Pan. Photo by Racheal McCaig Photography. It’s all about Toronto. Our city loves making fun of itself and this show has layers of hilarious jabs and shout-outs to T.O. We particularly loved the hosting of the Peter Pan Am Games. It’s not just for fairytale-lovers. So many in the audience will fall in love with these characters from their childhood. But if you (or your crew) have passed the fairytale stage – the music, dance, flying and other impressive tricks will definitely entertain even the non-believers. My son loved Mad Hatter’s (played by Lamar Johnson) moves and I gotta say Hip Hop Croc (played by Dani Jazzar) won my heart. 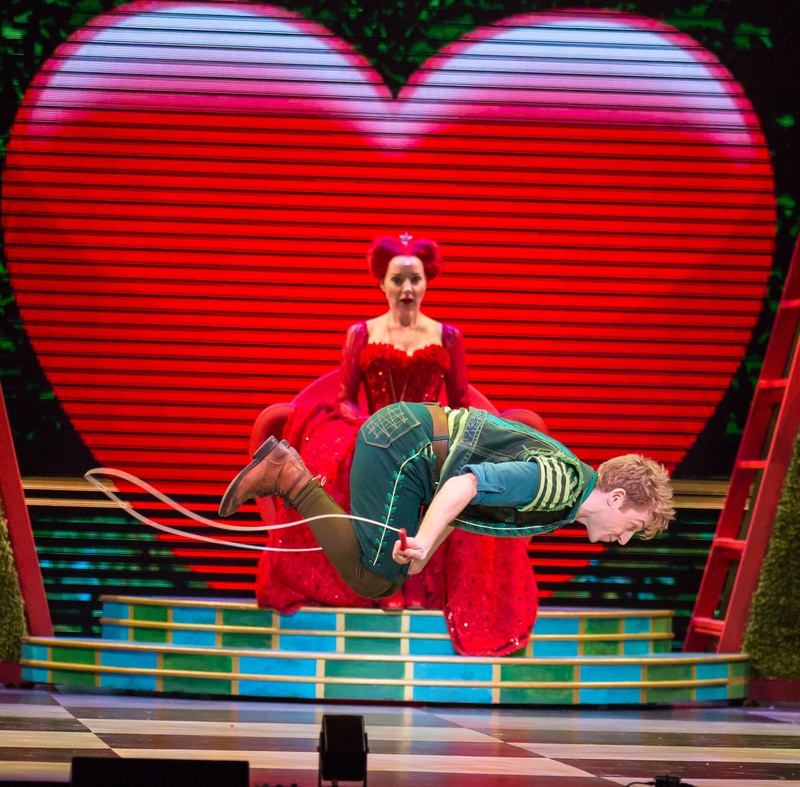 Won’t give it all away but the skipping rope scene, starring Anthony MacPherson as Peter Pan, blew our minds. There’s always a happy ending. And this one is especially sweet. 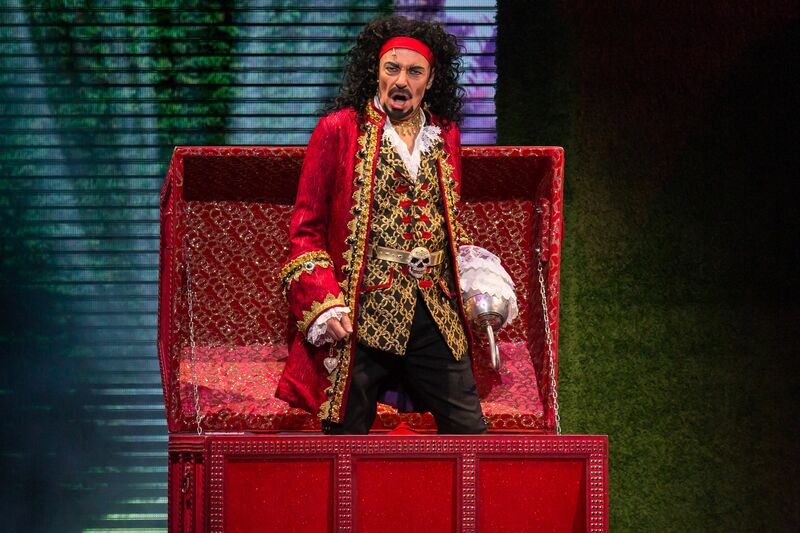 Ross Petty is taking his final bow this season in the role of Captain Hook. He will have you on your feet. Ross Petty as Captain Hook. Photo by Racheal McCaig Photography. Getting there: The Elgin Theatre (189 Yonge Street) is on Yonge St. north of Queen St. E. Driving, there are Green Ps in the hood (up to $20 flat rate) and paid street parking ($4/hr). If you head farther east to Church St. it’s $3/hr or near Jarvis $2.25/hr. On TTC, it is very convenient to take subway to Queen Station or get off at Yonge on Queen St streetcar. or in person at the Elgin Theatre Box Office.